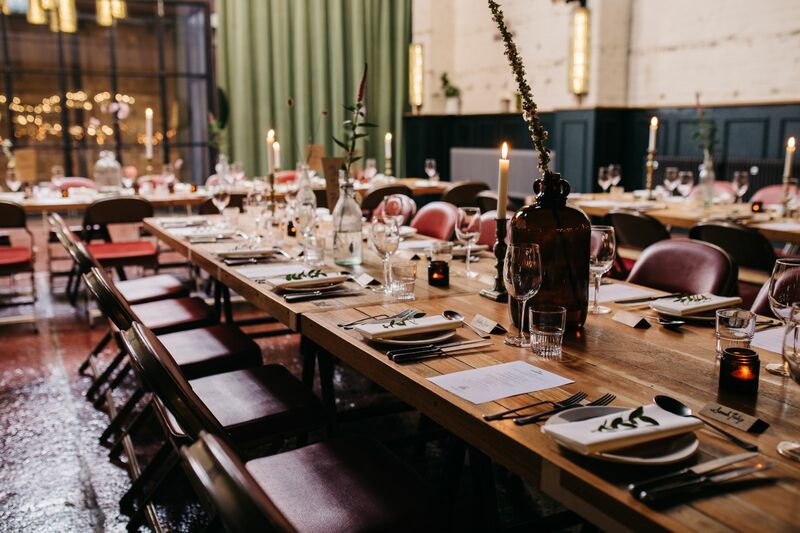 Unique Warehouse Wedding Reception Venue in Sheffield. 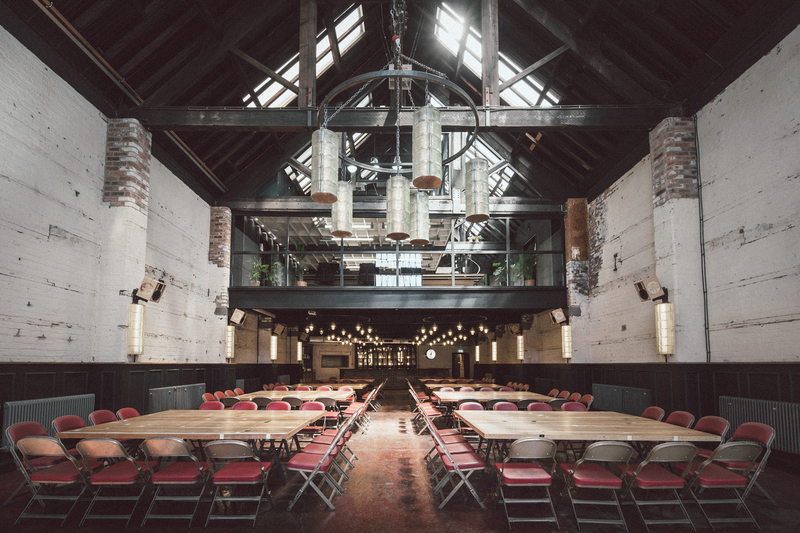 Enjoy exclusive hire at The Mowbray for Beautiful, Unusual, Stylish, Urban Wedding Receptions. Weddings at The Mowbray are magical! The splendor of the building - both inside and out has made this beautiful setting one of the most sought after urban venues in the region. 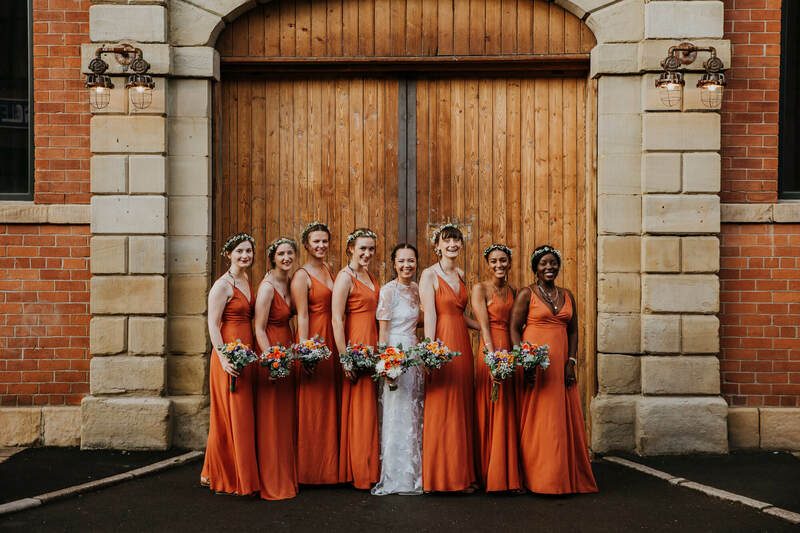 Complete with a British garden on the roof terrace for blooms, drinks and photographs, The Mowbray is luxuriously historic with gentle styling and a story behind even the smallest item including of course - bespoke Sheffield cutlery for your wedding feast! We believe in simple splendor and the culture of togetherness and we also love love! You'll know straight away that you're a Mowbray type of person. We're proud to be connecting a growing organic network of like minded people or kindred spirits who love to gather and come together to share great times. 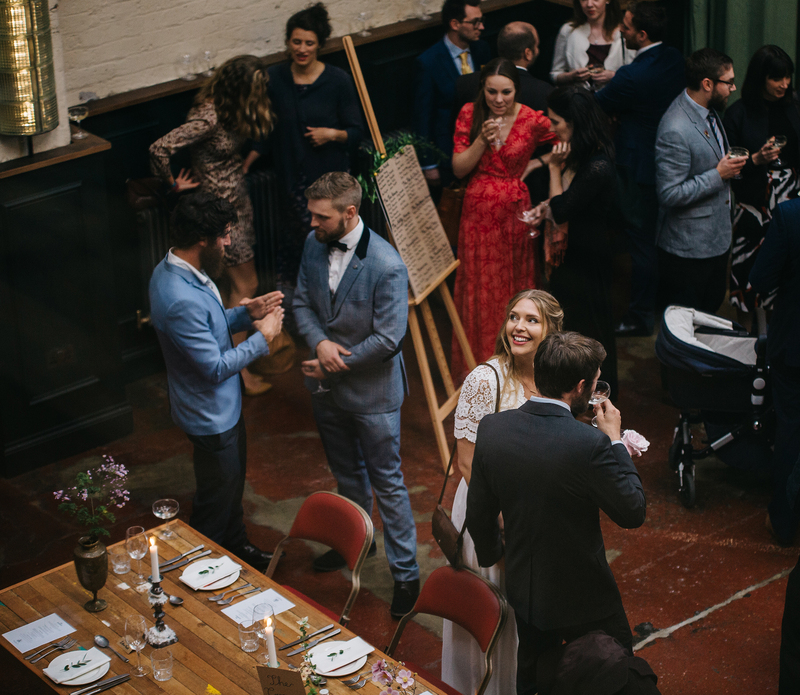 Gather under The Mowbray’s ancient beams for the most beautiful of Sheffield weddings receptions. 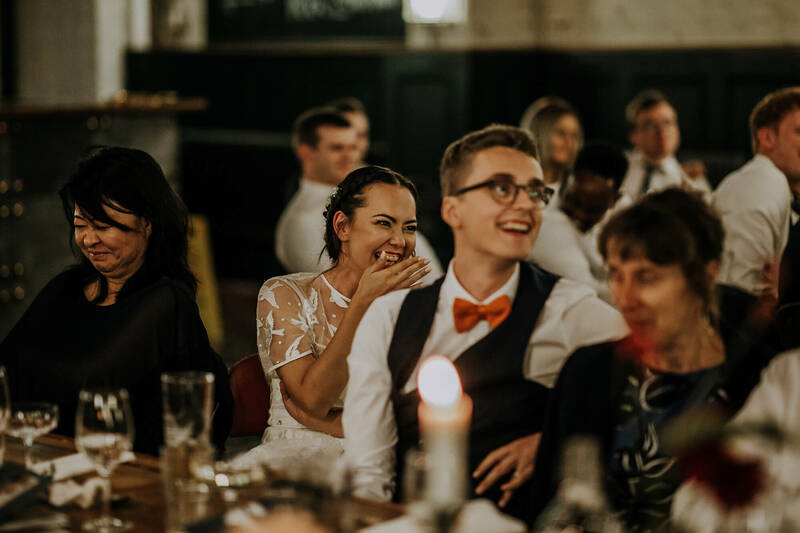 Together we’ll curate your dream day and night filled with beauty, laughter and joy sparked of course by twinkling candlelight, decadent surroundings and the most delicious feasts of food and drink. Classically beautiful in approach we delight in taking care of our wedding guests with grace and style to be sure to make every last detail super special. Luxuriously complete - we are experts in making it all happen. 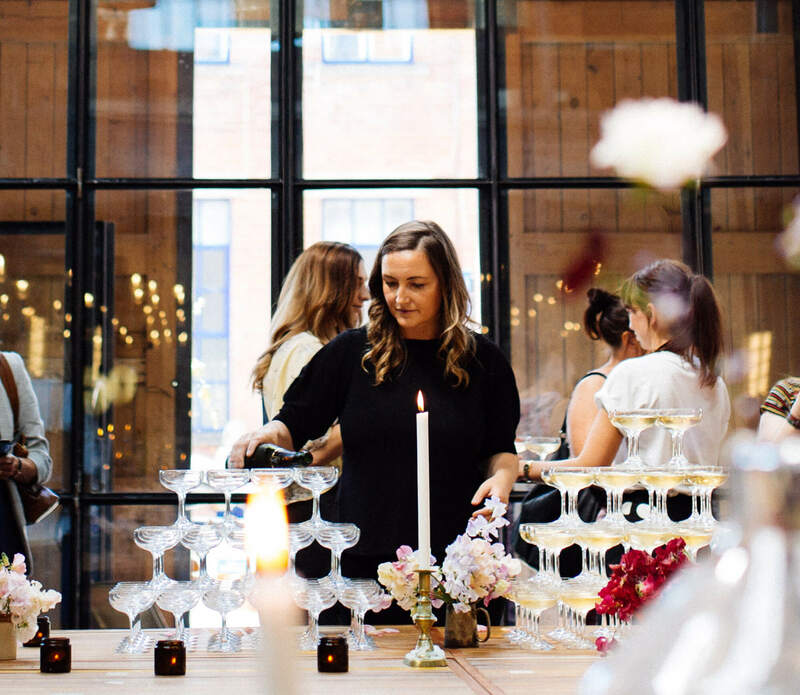 We look after everything from venue styling, table settings, floral abundance, food and consultations, bespoke cocktails and carefully curated champagne, wines and beers to create weddings and parties with soul. 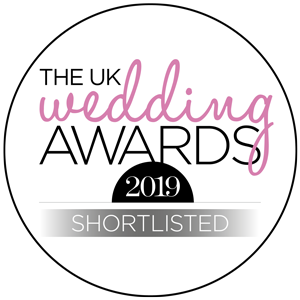 We encourage you to luxuriate in the knowledge that time and style are on your side and we will attend to the smallest of details with creativity, flair and an understanding of simple beauty, elegance and a sprinkle of glamour. The Kitchen is at the heart and soul of The Mowbray. 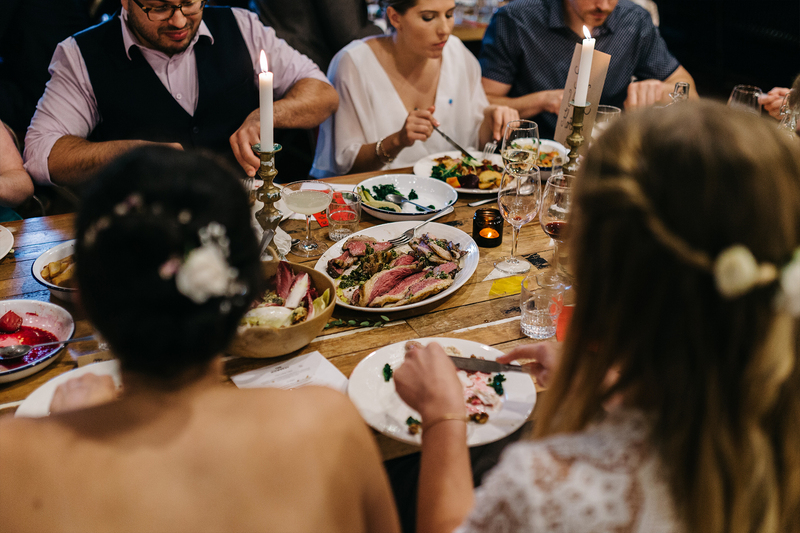 We have developed our own feasting style especially for Mowbray weddings, designed especially for lovers of our Sheffield heartland and supporters of local, regional and Yorkshire food. 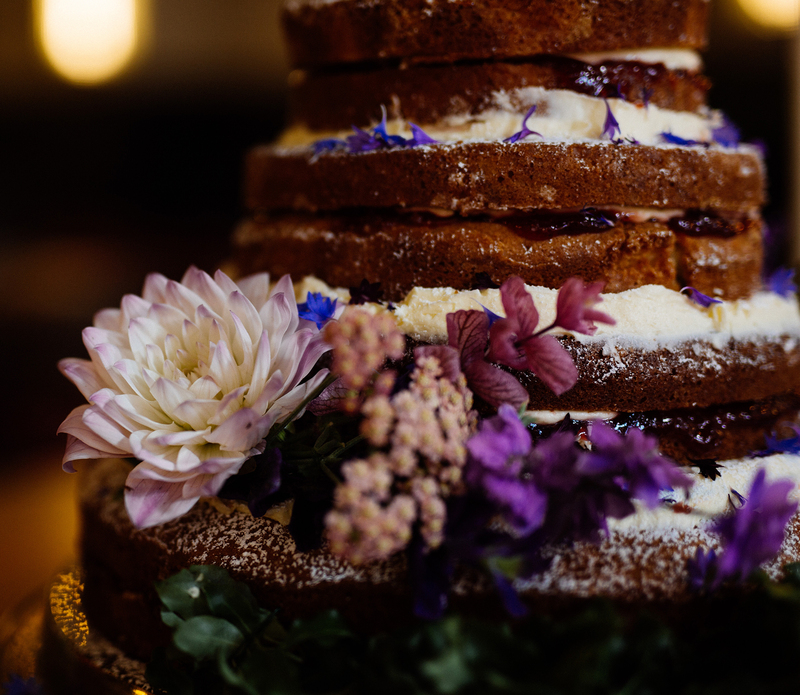 Explore our seasonal menus and enjoy the luxury of one to one consultations with our head chef and let us look after arrival snacks, the Wedding Feast, late night nibbles and even your wedding cake! Mowbray wedding cakes are magical. Freshly made in The Mowbray’s Kitchen they are as light as a dream and indulgently divine. Designed to match The Mowbray - they are elegantly luxurious with a real Sheffield touch! 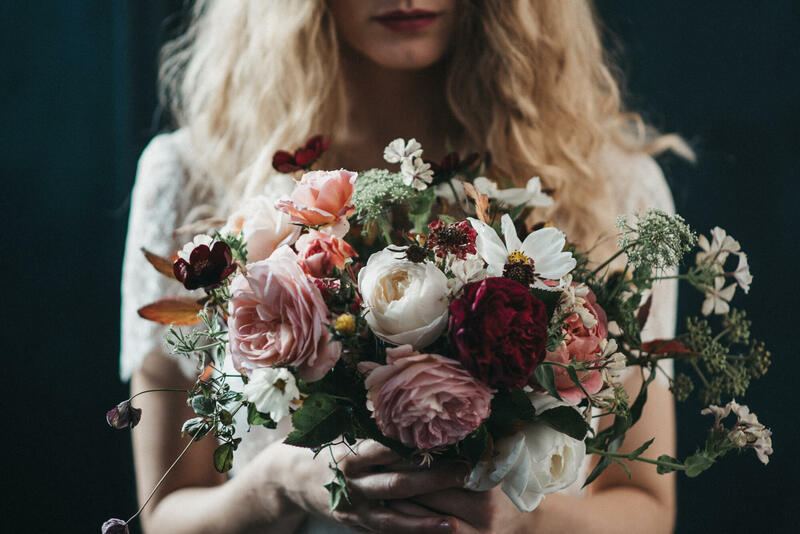 We’ll even dress your cake with perfectly picked florals from one of our house florists for a wild gypsy hedgerow feel with cascades of romance and wanderlust. 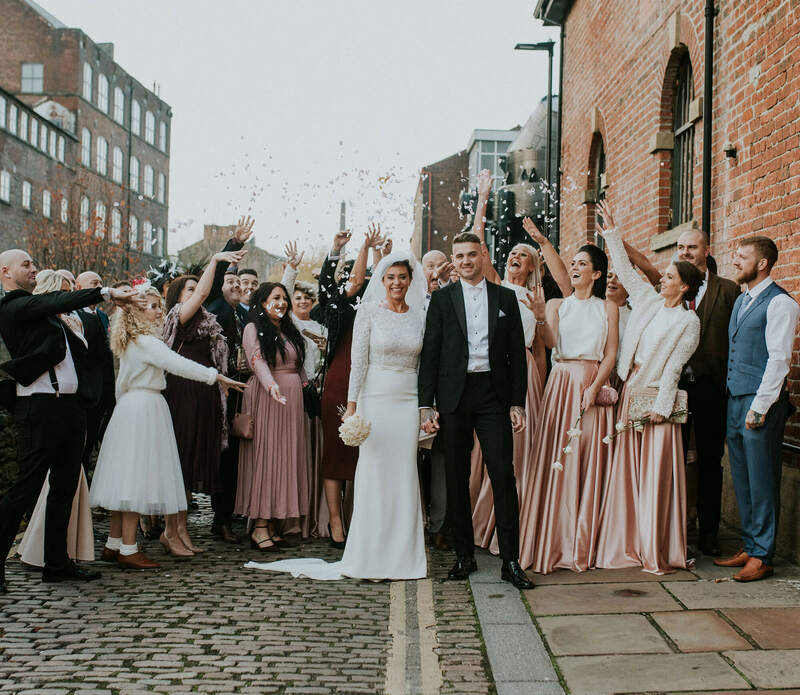 Let us book your ceremony at The Chimney House and choose between The Chimney House or The Mowbray for your wedding reception for a perfect day curated just for you with effortless style and ease. Celebrate with us! Invite between 45 to 160 guests to be seated for the most delicious of wedding feasts or up to 250 guests for a grazing and roaming reception! Here’s what’s included in your time with us! Famous for our attention to detail and our lavish love of all things beautiful holds us in renowned stead for minuscule detailing as we dress the room for your event. The most beautiful curiosities and the prettiest House florals will only ever make it into The Mowbray. Let us plan your wedding for you! You choose your guests and we'll do the rest! We'll look after the detail and you can look after all the fun stuff of your big day! You've dreamt of it, planned it, we can even make it! Now it's time to slice it! We'll take care of a silver Sheffield knife and cake slice for the big moment, plus we'll serve to your guests or parcel gifts of cakely delights for hometime treats. 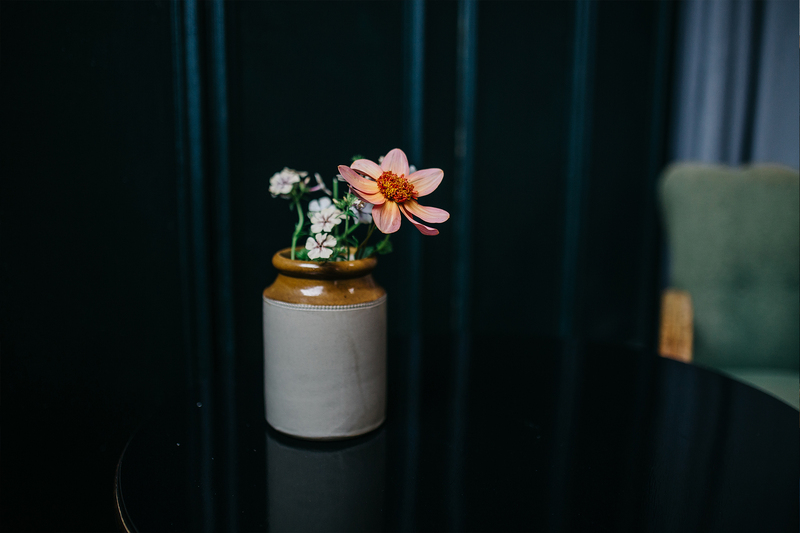 British blooms, herbs and a view out over the woodlands of Neepsend - the perfect place for drinks, photographs and special times. You’ll find our private terrace tucked away on the first floor for your use only! 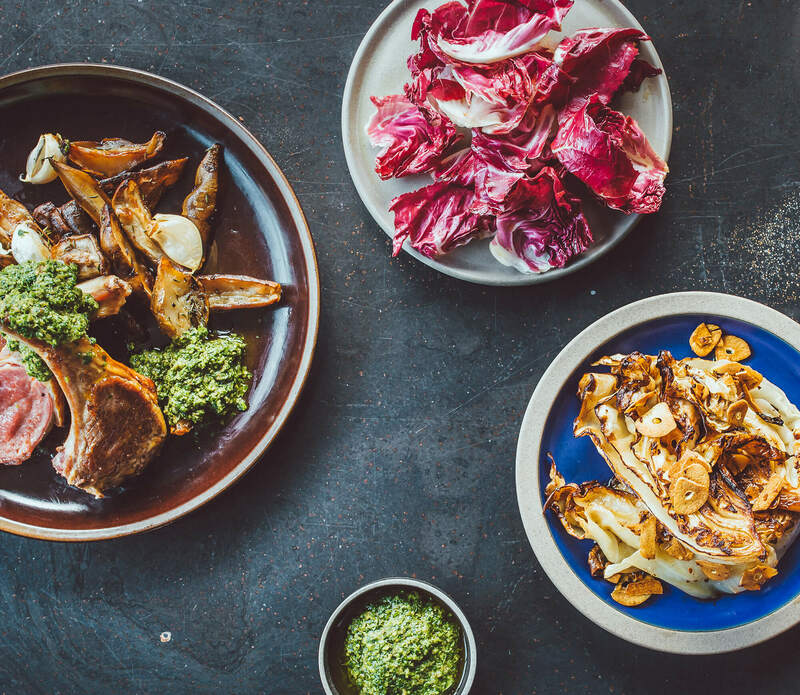 The Mowbray Kitchen loves seasonal food - and we are a local and regional food champion! We only serve our best most freshly baked bread and cakes plus a whole world of Mowbray pickles and deliciously cured and roasted tip top perfect of tastiest items! 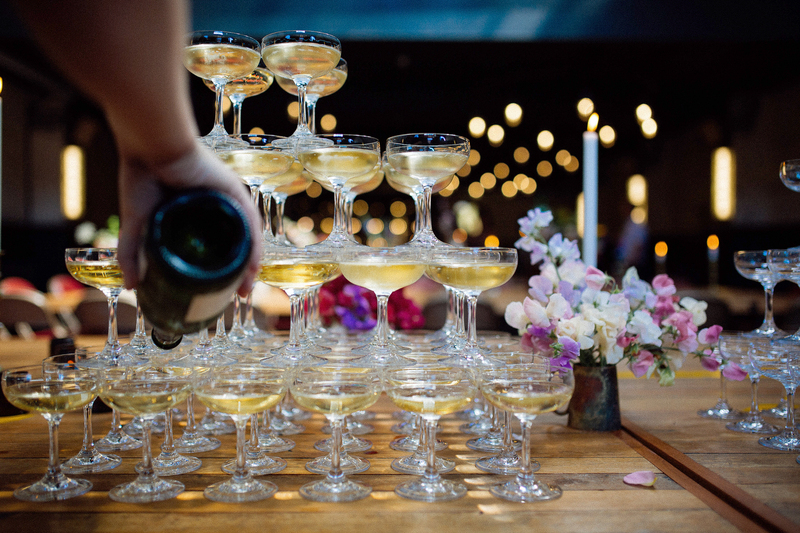 Reception drinks sorted, the toasts planned... We'll have your champers on ice and the bubbles just waiting to pop! 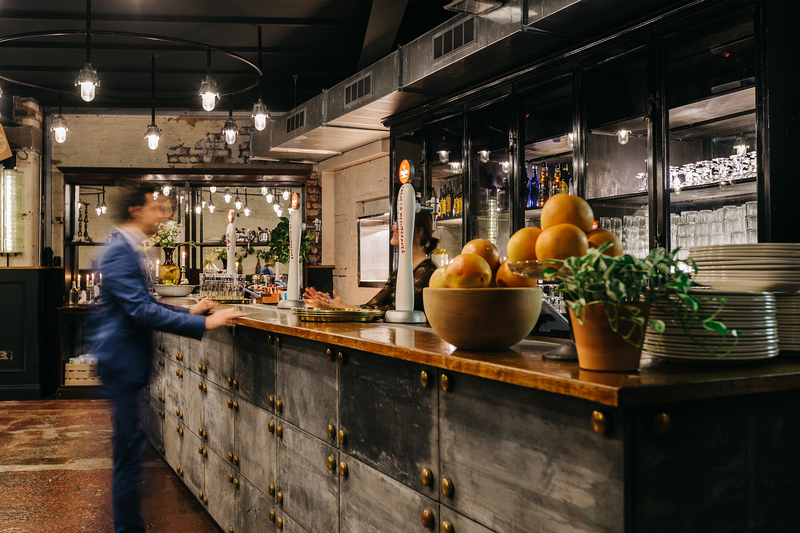 The Mowbray Bar is well stocked with a finely curated selection of wines, local ales, our favourite spirits and non boozy choices. We’ll mix, make and shake your favourite cocktail too! We are one of the few venues in the North to stock the iconic Aesop amenities. We have chosen Reverence Aromatique Hand Wash and Resurrection Aromatique Hand Balm to add a super dose of luxury to your day. Tell us your numbers and your dream plan for the day and we’ll make it happen. We’ll advise on the best table plan for you and your guests. Our bespoke made furniture is all flexible - so we can scale up or scale down! Seating plans, name cards, table decorations and guests gifts and favours. You bring them and we'll style and place them perfectly. Relax! Plug and play! Full colour projector, screen, full audio/visual services. Superfast fibre WiFi broadband of course - and all of our lighting operates on dimmers. 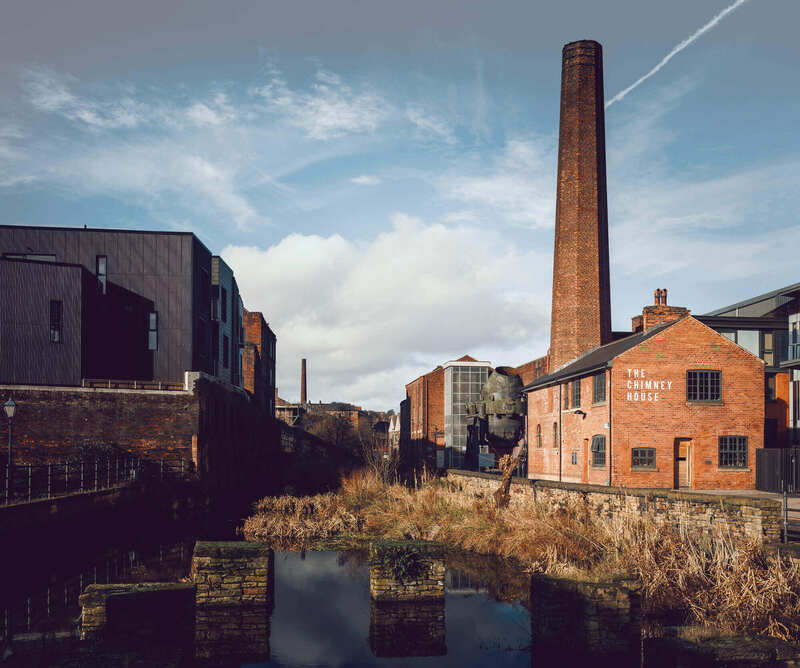 The Chimney House is The Mowbray's sister venue - just down the road on Sheffield's historic waterway, Kelham Island. An iconic building, similar to The Mowbray, The Chimney House is an important English landmark and home to the award winning Meeting Rooms and Private Dining Rooms. 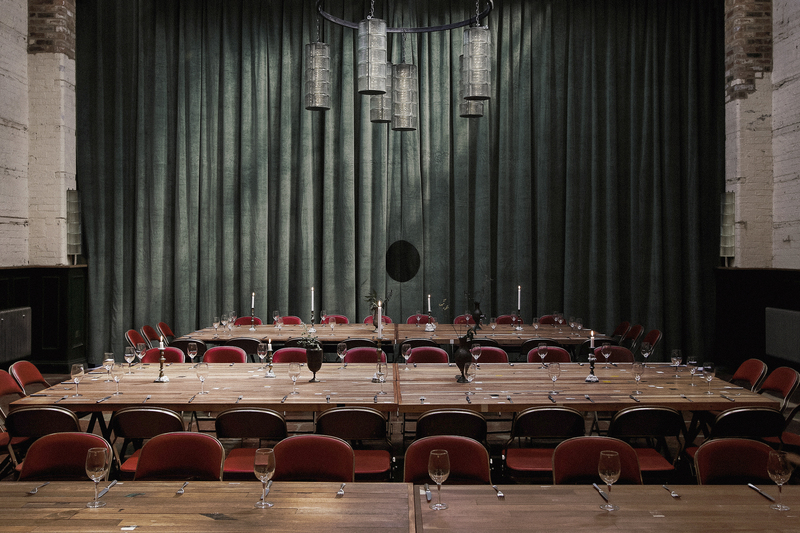 We're proud to welcome from between 2 - 50 guests for daily events, 7 days a week. 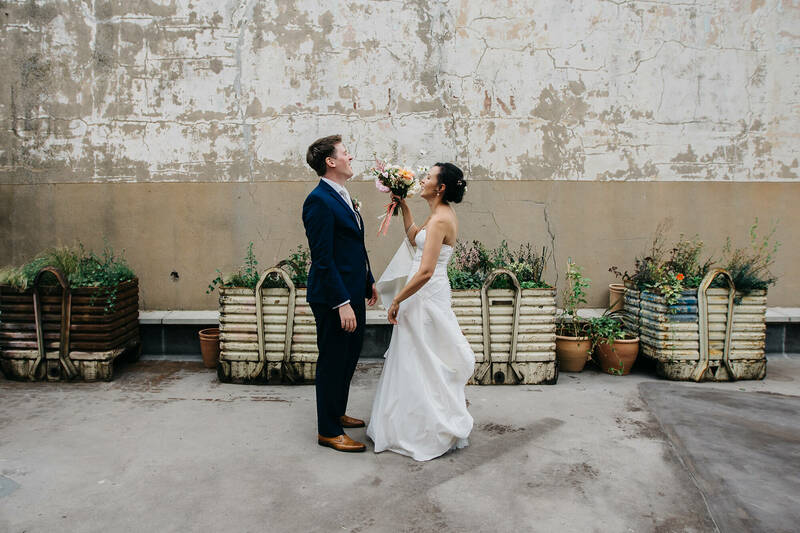 The Mowbray is a popular space for everything to do with love! 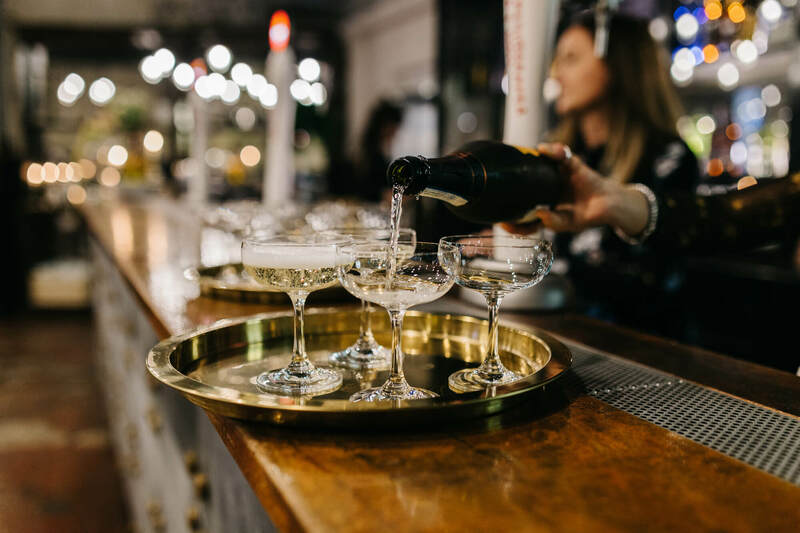 Wedding receptions, hen parties, rehearsal dinners - let us take care of everything, drop us a line and we’ll drop you one straight back!